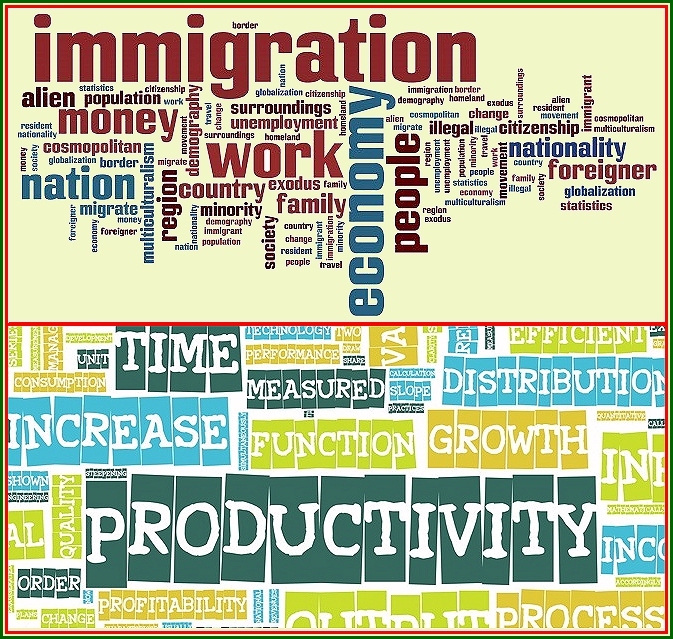 Our choice: Productivity or Immigration? After World War II ended in 1945, Japan succeeded in recovering from the ruins of war and achieving industrialization during the 1950s and 1960s. High economic growth prevailed from the mid-1960s through the 1970s with the arrival of a mass-consumption society, as technological innovations spurred the expansion of manufacturing facilities and sales of such consumer durables as television sets, refrigerators, and motor vehicles. The economy showed its resilience especially after the two oil crises of the 1970s. Dealt a severe blow by the big jump in the price of crude oil, Japanese businesses responded by developing fuel-efficient products and manufacturing processes. Japans industrial structure was transformed from one centered on traditional “smokestack” industries to one focused on high-tech, electronic industries. As a result, Japanese products gained a reputation around the world for their high quality, reasonable prices, and energy efficiency. Some economists today suggest that full employment can cause production bottlenecks due to labour shortages. Japan’s experience did not support this view. In the Japan Ministry of Finance seminars held February 2-3, 1990, it was concluded that the labour shortage had made a positive contribution to Japan’s economic expansion by encouraging innovation leading to greater efficiency in manpower usage. Examples were quoted where labour shortages have pushed many manufacturers to invest in robots and other labour-saving factory automation devices. Indeed the use of robots and automation was already widespread in Japan. In 1989 around 220,000 robots were at work in Japanese factories compared with 37,000 in the United States. Highly automated factories are common everywhere in Japan, making everything from simple plastic mouldings to advanced microchips. A company called Yamazaki Nagaki even makes machine tools in a fully automated factory. Full employment gave manufacturers a buoyant home consumer market. On the production side, the constraints of full employment provided the incentive to reduce labour and thus costs by increasing productivity and mechanization. In conditions of full employment the maximization of productivity was not only possible, it became imperative. So far, so good  for Japan in the 1990s. But for Britain today its a different story. In Britain, shortages of labour are covered, not by increased productivity, but by immigration. We simply import more foreigners  or rather, we allow them to come in. Our economy needs them, industry pleads. And theres no shortage of willing candidates from disorganized and warring states. So unlike Japan, we plod on, with more people doing work which would be done more cheaply, and possibly better, by machine. Since this is obviously an easy way out, the question arises as to why Japan didn’t take this option. And the answer is a combination of geography, history and language. First, language. Britain can import foreign labour with a basis of at least some English. Japan’s neighbours, China and Korea, did not have fluency or even a basic knowledge of Japanese. Second, history. In the the China-Japan war, overshadowed for the West by WW2, China’s casualties were 3.22 million soldiers, with 9.13 million civilians killed in crossfire. Even if undeveloped and impoverished China were able to offer the skilled labour Japan needed, employing Chinese would have been socially and culturally unacceptable to both parties. And geographically, Japan was virtually isolated. So. An economy of near-full employment with shortages of labour has two choices: open the flood-gates to more immigration, or increase investment in productivity. One is the easy way out, with a future prospect of stagnating productivity, and therefore, stagnating prosperity. And increased pressure on housing, education, health and social services. The second is the more challenging: rely on our own labour. But it will need to be better-educated and better trained, with follow-through apprenticeships. And industry will need more investment.